With a cast and crew exceeding 30 people, this project was big from the beginning. The crux of this production was based around the concept of female artist collaborations. Working closely with the Marketing and Brand Management team at Soles, we developed an execution that engaged the Soles brand with a target audience previously unconnected with. SIRAP was involved from initial idea development, production and through to final delivery. The brand-building video is featured on the Soles website, played Australia-wide exclusively in Soles key retail stores ‘Platypus Shoes’ &amp; ‘Glue’, while naturally having an iconic presence on the gamut of social media platforms. 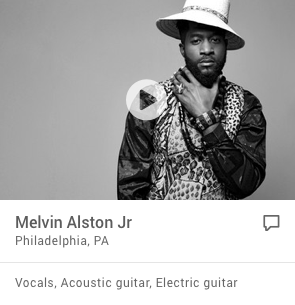 ALTA delivers the perfect fusion of soul and hip-hop. 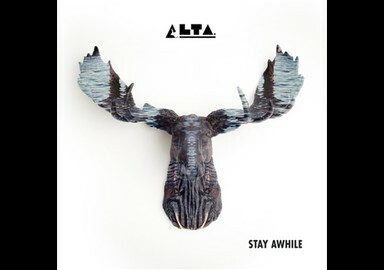 Melbourne based duo ALTA released their debut EP ‘Stay Awhile’ late last year. The record is still making waves and offers smooth hip-hop undertones from producer Julius Dowson fused with beautiful vocals from singer Hannah Lesser. The Stay Awhile EP has generous serves of soul blended perfectly with spot on downtempo beats. More recently the duo have released the single ‘Stepping Out’. Wrap your ears around the tunes – available for free download on their bandcamp here. Duo’s are all the rage at the moment. There’s so many people jumping on the bandwagon and doing a not very good job of it. That’s why it’s a breath of fresh air when you get a duo like Melbourne’s ALTA doing it so well. Sitting somewhere in between Disclosure and fellow Aussie newbies Willow Beats, Hannah Lesser and Julius Dowson are releasing flittering, hip-hop inspired dance music. Last year they released an excellent debut EP ‘Stay Awhile’ (which can be downloaded for free here) and they’ve finally dropped a new tune. This one, Stepping Out. Many of the recent buzzing music acts have made their way to the world from Asutralia. So, everyone who’s on the hunt for the next sound should quickly navigate their focus to Down Under. With Melbourne based duo ALTA we introduce to you another exciting musical project that delivers a fusion of downtempo Electronica, trippy arrangements and bluesy vocals. Creating a stimulating atmosphere with chilling and sensual tunes, producer Julius and vocalist Hannah provide the perfect soundtrack to the summer. We talked to the duo about the Australian scene, their free EP Stay While and musical memories. I am so excited about the Australian music scene currently. Would you guys agree that Australia is the new market to look out for? Australia and Melbourne in particular is really thriving at the moment. We moved to Melbourne from a smaller city in Tasmania about a year ago for that reason and it hasn’t disappointed! So much happening in this city and for whatever genre you’re into, whether it’s dance music, rock, hip hop, turbofolk etc there is probably going to be a scene for it! We both believe that Australia has definitely made its mark musically on a world scale. Living in Melbourne we are surrounded by talented, innovative and creative people and really are spoiled for choice when in comes to live music, there are always gigs that we want to check, and we are always being inspired by others. We feel very lucky to live here. What Australian artist, besides you, should we keep an eye on? We were sunbaking in Marseille, France, listening to some songs together and Tricky‘s tune ‘Hell Is Round The Corner’ came on and we just both connected. From there we were determined to recreate uplifting laid back trip-hop sounds of the 90s with more modern production techniques and feature Hannah’s bluesy tone to her voice. It started off as purely sample-based stuff, which was a throwback to sounds of the past, but I think it evolved pretty quickly into our own thing after we had collaborated on a couple of songs and began to understand what we were both about. Marseille is one of my favourite cities in the world, not only because of ALTA, but also because it was my favourite skate map in Tony Hawks 2. What was your name inspired by? It means high in Latin - we want to make elevating music and for people to feel like they are on a musical trip when they listen to our music. When we perform live our set only has one or two breaks, we want to create a continuous flow telling stories and toying around with musical ideas. Describe your sound in three words! Tell us something about your EP &quot;Stay Awhile&quot;. What&#39;s the concept behind it? What was it inspired by? ‘Stay Awhile’ is our first release and we wanted to try to squeeze as many ideas into it as we could! We’d been together for about a year at the time we put it out. To be honest, before ‘Stay Awhile’ we had released singles on different places around the web. If people wanted to hear our recordings we’d have to say “umm you can get this song on soundcloud, this other song on reverbnation, this other song on triple j unearthed, and there are some instrumentals on bandcamp” so it was just time to put out something! We spent ages going through potential tunes and finding the right balance between sample-based and electronic tunes, downtempo and upbeat, bluesy and hip hop etc. There is no single concept behind the EP – it’s kind of like a melting pot of our ideas over the previous 12 months. What musician would make you faint if you saw them following you on Twitter? Jules: Probably someone like Madlib or Knxwlege. Just to be on these producers’ radars would be amazing! What&#39;s your most special musical memory? I guess my most special memory would be as a kid in the music block at school. I played the flute and sometimes saxophone in big band and it wasn’t my thing, but was compulsory. I walked in to practice early and there was this older guy just going mental on the bass guitar with his buddies all around. Slapping all over it, doing runs up and down the neck, playing harmonics, making all these sounds I didn’t know existed. From then on I dedicated myself to learning bass, eventually joined bands, then recorded the bands and got into production from there! 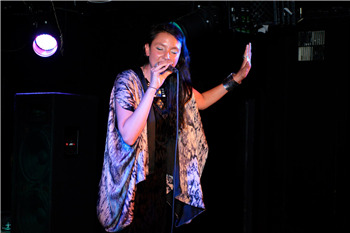 Melbourne based electronica duo ALTA, introduce you to another exciting musical project. Singer Hannah Lesser and Producer Julius Dowson form the down-tempo, experimental, art-pop duo. Deriving from two varied musical backgrounds ALTA is the product of two creative minds combining synthesizer driven electronic arrangements, with soulful vocals. The result appears effortless, providing a completely unique take on the singer/producer combination, causing heads to turn towards this talented duo with their fresh and distinctive sound. ALTAs debut EP, Stay Awhile was released December 2012. The records smooth use of samples and bluesy vocals offered listeners something both intriguing yet familiar. Game Broke Out was released in November 2013. Named the Froth of The Day by Melbournes IOHYOU, this 6-track effort exemplifies what all good EPs should; it shows a mature diversity which is ambitious and its unafraid to cross genres. With prolific performances throughout Melbourne and Sydney, 2013 came to a grand finale at Strawberry Fields Music Festival, Paradise Music Festival and Inca Roads Festival. Welcoming 2014, ALTA supported UKs iconic producer, Bonobo, at The Palace Theatre in Melbourne before they headlined a show in Sydney at GOODGOD Small Club.